Tonight: Mainly cloudy. Lows in the low 30s. Monday: Sunny. Seasonable. Highs in the upper 40s. Tuesday: Clouds and wind increase. Showers late. Highs in the mid 50s. Alas, our temperate stretch of weather is coming to an end. The weather has been very quiet as of late. Both weekend days were drab. Cloudy. Mid 40s. By no means has the weather been beautiful, but we have been under the influence of a sprawling area of high pressure. We are already seeing the impacts of the “King Tide.” These King Tides have caused minor flooding. The flooding is caused by astronomically high tide coupled with rising sea level. High tides through Tuesday night may produce minor to perhaps pockets of moderate flooding. 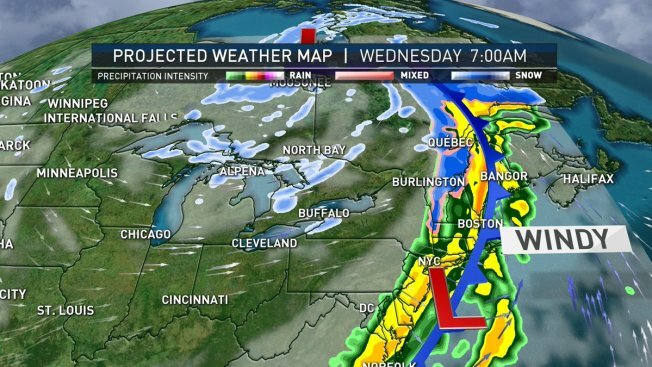 A powerful Midwest storm will push a cold front through the region Tuesday into Wednesday. We need to watch the possibility of an area of low pressure developing along the front. 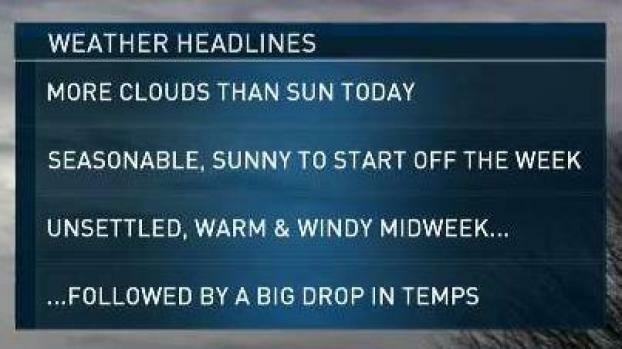 Today: Chilly mix of sun and clouds. High in the low to mid 40s. Light variable wind. Overnight: Full moon partially visible through variable clouds. Frosty, low in the 20s to low 30s. Monday: Mostly sunny, high in the 40s. If that happens, forecast rainfall duration and amounts may need to be increased. Across the Plains, the first blizzard of the season is in the cards. Locally, damaging wind gusts are possible Tuesday into Wednesday. Once that storm system departs, much cold air arrives. Temperature go from 60 degrees on Wednesday to the upper 20s by Thursday night. We are forecasting the coldest air mass of the season so far. The weather will stay active for the remainder of the forecast period. With cold air in place, a wintry mix or snow is possible. A coastal storm will graze the coast Friday and Saturday. The best chance of accumulating snow is west of 128. Another round of light snow is possible Sunday night. After a break on Monday, another coastal system is possible Tuesday and Wednesday -- again, it would be cold enough for some frozen precipitation.